There's no better place to vacation than Cancun, Mexico. The azure blue waters of the Caribbean meet white sand beaches in front of the magnificent Club Internacional de Cancun, a favorite getaway destination for families, couples, and business groups. 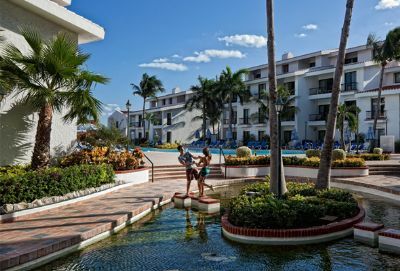 Those who rent from a timeshare owner or buy one of these Cancun timeshares for sale earn membership points good for use at this or other partner resorts. 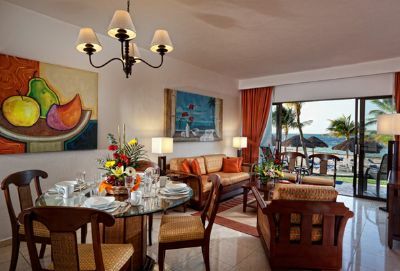 The luxurious guest suites at the resort are matched only by the all-inclusive amenities. These include the huge swimming pool, recreation room, resort spa, and the on-site Italian cuisine restaurant. There's plenty of first-class shopping within minutes of the resort complex. 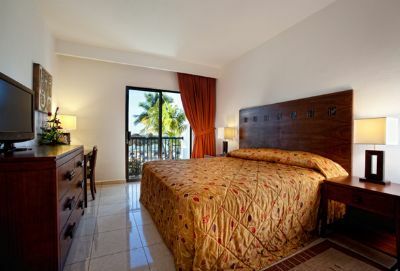 The two-bedroom timeshare suites at Club Internacional de Cancun come in varying styles, but all have a master bedroom fitted with a king bed, queen bed, or two double beds. The smaller bedrooms contain either double or twin beds, and the living room has a Murphy-style sofa sleeper. 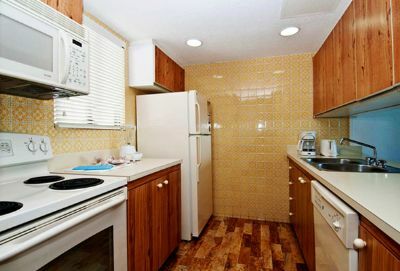 The two-bedroom villas have a private balcony with resort view and a complete kitchen with stove and microwave. The family-style two-bedroom guest suites contain two double beds, and the beachfront two-bedroom suites overlook the Caribbean. All units at the resort come with a large-screen TV with DVD player, satellite TV reception, free Wi-Fi, and luxurious bedding materials including down comforters. 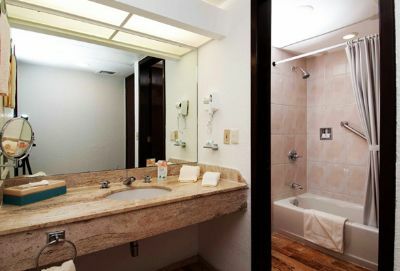 The bathrooms are uniquely designed and contain both a bath, shower, and all bath appliances including hair dryers. The delicious Italian specialties served up in the on-site restaurant will please the entire family. There's also a swim-up bar at the pool and a snack bar that serves American and European favorites. The spa and wellness center at the Club Internacional de Cancun specializes in manicures, pedicures, and aromatherapy. Water sports are popular, and rental service for sailboards and kayaks is located on-site. On the resort property is a kid's playground, outdoor tennis court, and lounge areas. 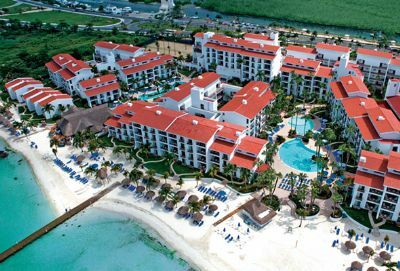 Owning one of these Cancun timeshares for sale means securing your future vacations at this valuable Mexico property. Even if you’re not ready to own, you can rent from a current owner on available dates by contacting the owner through our online service here at BuyaTimeshare.com. Contact Club Internacional de Cancun Specialist Today!